HAIR NUTRIENTS ROYAL JELLY SHAMPOO 250ml has been formulated especially for devitalized hairs and with obvious alopecia problems, provides strength, volume and force. HAIR NUTRIENTS ROYAL JELLY SHAMPOO 250ml has been formulated especially for devitalized hairs and with obvious alopecia problems. HAIR NUTRIENTS ROYAL JELLY SHAMPOO 250ml provides strength, volume and force thanks to its multivitamin essential complex, elaborated with the 11 most important vitamins for hair (pp, h ‘, h, f, e, c, b2, b5, b6, b12, a. ), all of them contributed by the royal jelly. Acts against premature capillary aging and facilitates hair regrowth. Wash your hair at least 3 times a week with water at a temperature not exceeding 37 celsius degrees. Alternate with SIMONE TRICHOLOGY ATP OXYGEN EQUILIBRIUM SHAMPOO REF: 005-011. Dx2 Dixidox Treatment Phials 10x10ml 50,71 € VAT incl. Hair Loss and Colors Shampoo 18,94 € VAT incl. DNA + Pollen Treatment Phials 10x10ml 45,59 € VAT incl. 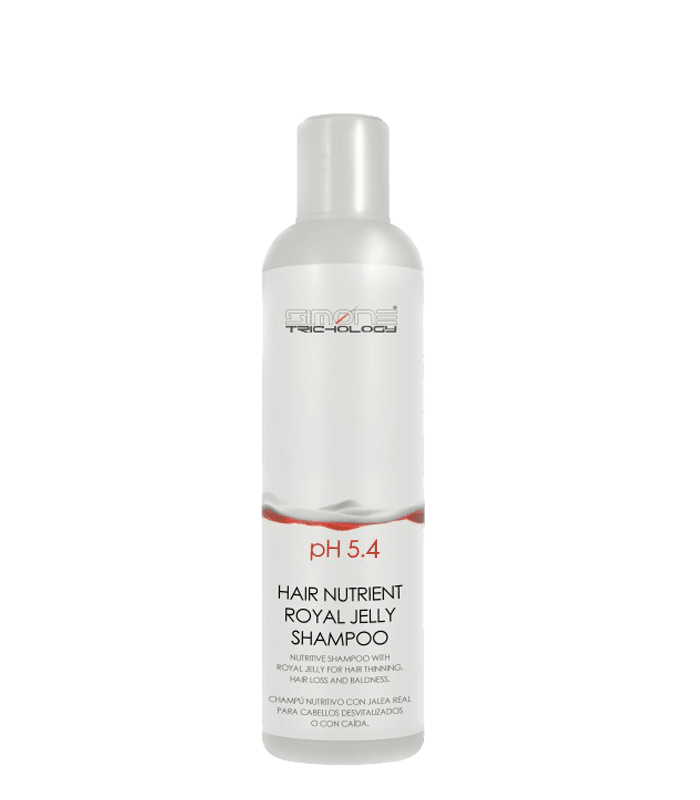 Hair Loss and Colors Shampoo Professional 25,92 € VAT incl.